Oh no! What happened? I just plugged in 20 sets of mini lights and they went out right away – what’s up?? Well, first and foremostly, what were you thinking hooking 20 sets of mini lights together? Unless your mini light set is one of a few special commercial rated type of sets, the maximum number of sets that you should connect in series is 3 – per UL. Back to your dilema then, unplug your mini lights and check the fuse in the first set. 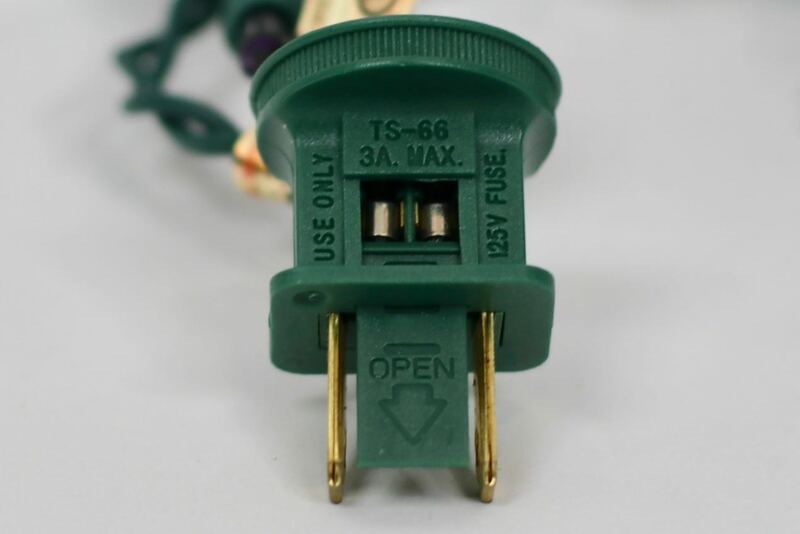 If your set has a replaceable fuse (and I’m thinking most do – if yours doesn’t then email me then chuck it in the trash) then use a little scredriver, insert it into the slot at the top of the little door in your plug you had never noticed before, slide the door back and voila! there is your blown fuse. This is the point where you take the clearly marked envelope containing the fuses you prudently saved when you unpacked your mini lights. Now retrieve a new fuse. If there is not fuse retrieval going on because you threw away the little tiny plastic pounch with the tiny little cylindrical glass looking things that you were confident that you’d never need – then take your lights to a local home improvement center and buy a replacement fuse. Then use that same little flat head screwdriver that you opened your fuse door in the first place, pop out the popped fuse (if you are really adventurous, hold it up to the light to see what you misadventures in wiring caused) and pop your new fuse in. Close the door and you should be back in business. Use only fuses with the same rating as the one you are removing (current rating). Again, they guy and the Home Depot – oops, Home Improvement Center – will help you with this. Never attempt to jump or otherwise bypass a fuse. They are there for your protection. I am not an electrician. Please consult a Master Electrician if you have any questions about this process.